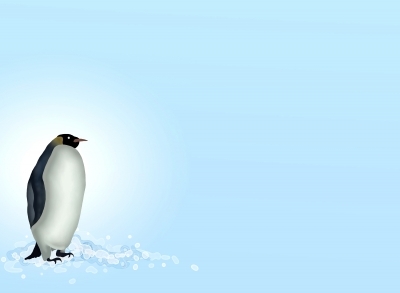 The latest version of Penguin – Google's effort to stop spammy websites ranking highly in its search results – was rolled out late last month. The Penguin 2.0 changes are expected to improve the battle against spam and poor quality web content, helping top notch websites (such as Mission Imblogable, ahem) rank more highly. As with everything Google does, the changes are aimed at helping web users find the best results possible when searching the 'net. (Aw, we loves you Google.) So what does this cute fluffy bird mean for all those SEO efforts? Penguin 2.0 appears to be targeting spammy web link building content more deeply, ferreting it out and sending it spiralling down search engine results pages. Poor quality articles that have been spun over and over again, losing all semblance of coherence, low quality blog comments and advertorials are expected to take a big hit. And, of course, Penguin 2.0 will see Google continuing its full frontal attack on blackhat SEO tactics – things like cloaked content, keyword stuffing, and amassing hordes of backlinks from poor quality sites. SEO has traditionally focused on link building, as Google's algorithms used to give credence to sites with more links back to them. Since more and more aggressive link building tactics have been employed, they've refined their indexing and crawling methods so the links to a site need to be from quality sources as well as appearing naturally. The new update will include “more comprehensive link analysis,” so Google will be keeping an eye on which websites receive backlinks and – more importantly – who those backlinks are from. A single backlink from a relevant authority site is worth more than a hundred backlinks from a low end spammy site, such as a content farm. Basically, it's good news if your focus is on creating quality content for your website that people will actually want to read. It's not so good if you spend your time rewriting the same article and pasting it all over the web with backlinks to your site. We expect to see a real boost for businesses that focus on creating a solid brand that's truly geared towards helping its audience. Content strategy is the way forward. Becoming known as an authority in your niche should be one of your main goals; adding fresh content to your site with a blog will certainly help. Authority websites will rank more highly and, similarly, websites that are linked to by said authority sites will also receive a boost. The man himself, Matt Cutts, said we should all be trying to make “a great site that users love,” with the emphasis on creating content that people want to tell their friends about, bookmark, and share all over the shop. So if you focus on making great content that can actually help people, Google will, in turn, help you. Fuzzy warm feelings all around! Of course, you've probably noticed, we're ALL about quality content here at Mission Imblogable. ALL. ABOUT. IT. Content is king, we keep hearing and it keeps being more and more factual. Also, need to focus on the content the links back to your site and not have spun stuff pointing back.